This oval tub makes the perfect centerpiece for outdoor weddings and get-togethers. It can also be used as a gift basket or to take fresh vegetables to your neighbor. Additionally, it can be used to store craft supplies or small toys. You might also like this similar tub in copper and vintage finishes. 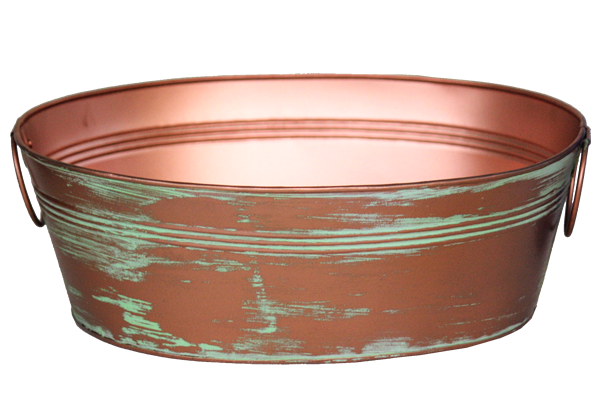 Shop our entire line of copper tubs and buckets here!